Gulzar’s films are known for their tight screenplay, witty dialogues and themes that explore intense humanism and his poetry appeals across generations. For this multi-faceted genius, roles sit easily on his shoulders – poet, lyricist, film director, dialogue-writer. Khoobsurat is a word that aptly fits Gulzar Saab… his poetry, his lyrics, his films and dialogues. Each story that he crafted on screen was born out of love for literature and poetry and the cinematic medium, each song that he wove spoke of love and life in its various facets. For this multi-faceted genius, roles sit easily on his shoulders – poet, lyricist, film director, dialogue-writer. In each of these roles he set benchmarks of excellence. The acclaimed filmmaker-lyricist has been a winner of several prestigious film awards, including the country’s highest film honour the Dada Saheb Phalke Award, the National Award (five times) and also the Oscar for the Best Original Score for “Jai Ho” song from Slumdog Millionaire along with AR Rahman and Sukhwinder Singh. The concepts, stylisation, processes and technology may have undergone a sea change in the area of filmmaking in India, but Gulzar Saab’s films, poetry and songs continue to cut across generations – appealing to those who thrive in the golden era of Indian cinema and also to the Gen-X that lives in the now. Born on 18 August 1934 as Sampooran Singh Kalra, known by his pen name Gulzar, worked as a car mechanic before Bimal Roy gave him his first big break as a lyricist with Ganga aaye kahaan se in Kabuliwala, 1961, although the song credits went to Prem Dhawan who wrote the rest of the songs. 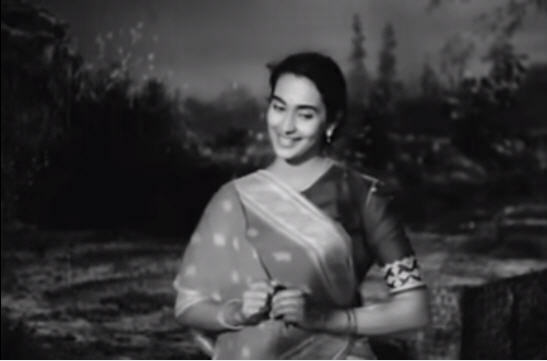 But the song that pitchforked Gulzar into the limelight was Mora Gora Ang Layile, picturised on Nutan in Bandini (1963). This song, which was one of the several melodious tracks in the film (the rest were written by Shailendra) signalled the beginning of Gulzar’s journey as a lyricist of high repute. “Fine, if she will not step out then I am not going to compose this song’, Sachinda warned. “The birth pangs of my first film song, Mora gora ang lai le started when Bimalda (Bimal Roy) and Sachinda (SD Burman) explained the ‘song situation’ to me. Kalyani (Nutan) secretly admires Vikas (Ashok Kumar) and one night after winding up the kitchen work, she comes out humming this song. “Bimal da put a stop to it right there: this ‘character’ cannot step outside the house singing, he said. “Sachinda raised his eyebrows: If she doesn’t go out then how is she going to sing in front of the father? “Bimalda argued: If she can listen to her father’s Vaishnav poetry, why can’t she sing it? “ ‘This isn’t a poem Dada…this is a song’. “ ‘Then write a poem. She will sing the poem’. “ ‘The song will be stifled in the house’. “ ‘Then bring her out in the courtyard. But she will not step outside the house’. An overwhelmed Gulzar while accepting the Dada Saheb Phalke Award remembered and thanked his mentor and “gurus”. “There are few moments in life when for a writer, whose work is to play with words, doesn’t know what words to choose to express gratitude and thank people. 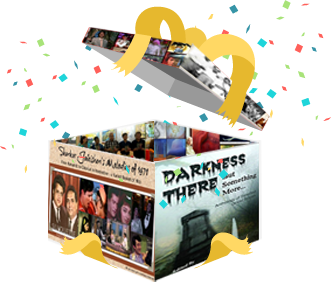 I want to say that no person will reach this stage without the support of several people… I was lucky that when I started, I met many people from whom I learnt – my guru Bimal Roy, who held me by the hand, picked me up from a mediocre place and took me along with him… there was Salil Chowdhary, Sachin Dev Burman, Hemant Kumar… I was lucky to begin my journey with such gurus,” Gulzar said. 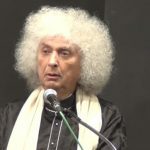 From Bandini started a journey of a poet-lyricist who went on to become one of the most celebrated and successful script writers and film directors of the country. ‘Mora gora ang layi le’ marked the return of the Lata-SD Burman team and also the arrival of a new poet on the block – Gulzar. 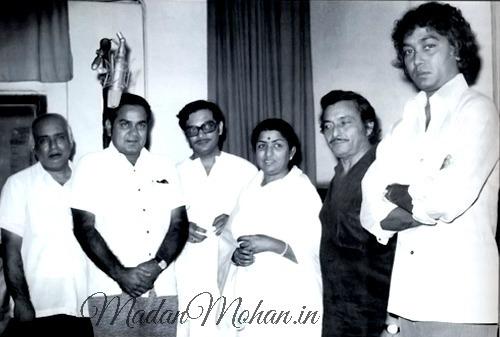 The song was a hit and that became an opportunity for Gulzar to gradually build up a presence as lyricist with the Bengali circle of filmmakers and composers Hrishikesh Mukherjee, Debu Sen, Hemant Kumar and Salil Choudhury in films like Do Dooni Char (1968), Biwi Aur Makaan (1966), Rahgir (1969), Khamoshi (1969) among others. 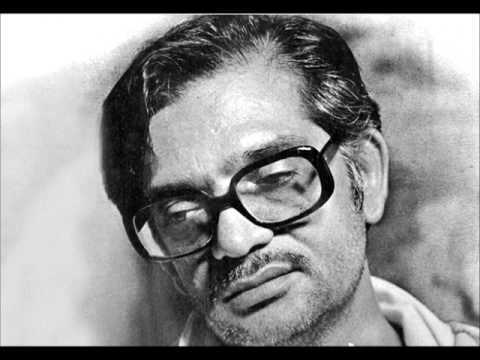 Mentored by Bimal Roy, who can be arguably called the flagbearer of neo-realistic cinema in India (as Roy’s Udayer Pathey [Bengali] and Do Bigha Zameen signaled the arrival of realistic themes and treatment on the Indian screen), Gulzar worked closely with talented and successful directors such as Hrishikesh Mukherjee, Asit Sen, to create screenplay and dialogues of some of the most memorable films including Anand, Aashirwad, Guddi, Chupke Chupke, Khoobsurat, Bawarchi and Khamoshi to name a few. Gulzar’s familiarity with Bengali literature helped him draw heavily from that source, and thus his films stood out for their meticulously sketched characters and powerful scripts and dialogues. 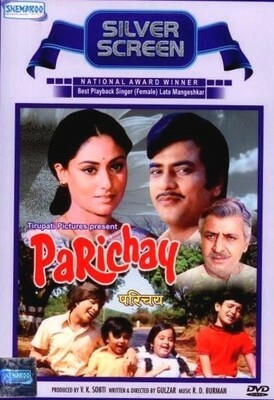 Parichay (1972), starring Jaya Bhaduri and Jeetendra was based on a Bengali novel, Rangeen Uttarain by Raj Kumar Maitra and inspired by the Hollywood and Broadway musical The Sound Of Music. Khushboo (1975), which had Hema Malini and Jeetendra in the lead was adapted from the Bengali novel Panditmoshai by Sarat Chandra Chattopadhyay. Kitaab and Namkeen were based on novels by Samaresh Basu. Ijaazat (1987) was inspired from a very short story Jatugriha by Subodh Ghosh, and Gulzar, true to his genius brought about extensive changes and additions to the storyline, introducing the character of Maya and adding situations and angles to make it one of the most evocative films. Lekin (1991) was inspired from Rabindranath Tagore‘s Kshudito Paashan (Hungry Stones) and starred Dimple Kapadia and Hema Malini in stellar performances. Aandhi (1975), which saw two of the finest actors Suchitra Sen and Sanjeev Kumar giving stellar performances, was a screen adaptation of Kaali Aandhi, a Hindi novel by Kamaleshwar. Angoor (1982), which is counted among the best comedies in Hindi cinema, was inspired from Shakespeare’s play The Comedy of Errors. 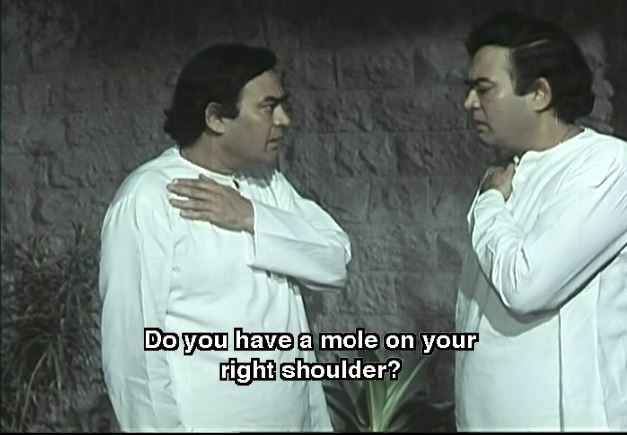 It starred Sanjeev Kumar and Deven Verma in double roles, ably supported by Moushumi Chatterjee and Deepti Naval. Mausam (1975) was loosely based on the novel, The Judas Tree by A.J. Cronin and fetched Sharmila Tagore the National Award for Best Actress for her double role performance. Dil Dhoondta Hai – a melodious song in Mausam sung by Bhupinder Singh and Lata Mangeshkar, featured at the 12th position on the Annual list of the year-end chart toppers of Binaca Geetmala for 1976. The large inspirations from Bengali literature ensured that Gulzar could come up with films that had women as central characters. Mere Apne, Mausam, Khushboo, Ijaazat, Aandhi, Meera – all these films placed the spotlight unequivocally on women. His sensitive treatment of women made them shine and rise above the ordinary as persons of strong self-respect, intelligence and courageous attitude. Gulzar has been known to deal with political themes in his films since his very first film Mere Apne, which was followed by Aandhi. In fact, Aandhi was even banned for some time following a controversy about the central character of Aarti being inspired by the then Prime Minister Indira Gandhi’s life, although that was not the case. In later years, Gulzar made two more films on the raging political issues of that period – Maachis (1996), which explored the trauma of common people during the Sikh insurgency in Punjab and Hu Tu Tu (1999), which is about how families get ruined when caught in the midst of power hungry struggles for political gains. Though Gulzar’s career as a lyricist started with Bandini, he came into his own with Asit Sen’s Khamoshi, a remake of the Bengali hit Deep Jele Jai. “Lost in the debate which arose out of the first line, most of us miss out a very significant subsequent line…haath se chooke isse rishton ka ilzaam na do…When he said that by the sense of touch, one transforms and downgrades a subtle and spiritual connect to a gross and material sensation, he was actually telling us that love should not be given up for lust, of the sublime nature of love which is beyond the body. ‘Sirf ehsaas hai ye, rooh se mehsoos karo / Pyaar ko pyaar hi rehne do, Koi naam na do’ – So much talk about love. What if we gave love silence instead of speech? Would it not be closer to the truth of love? After all, words are limited, but is love limited?” she elaborates. Agrees Pavan Jha, a technologist by profession, but a film & music buff at heart who runs the official gulzaronline.com site and official facebook page of Gulzar, “Though Gulzar Saab, was active for almost a decade before this song arrived, this was a significant milestone for him as people and industry started taking him seriously after this song. There were negative voices too, specially Naushad saab, who put a big question mark on the metaphor of “aankho ki mehakti khushboo” yet Gulzar Saab made his mark, and strongly. “‘Humne dekhi hai un ankhon ki mehakti khusboo’ was supposed to be sung by a man admiring the eyes of his beloved. After all, mard ki ankhon ko kaun dekhta hai. Gulzar’s sharp insights into relationships are visible in the exquisitely melodious songs of Basu Bhattacharya’s Anubhav where the dulcet voice of Geeta Dutt expresses the beauty of love within the institution of marriage ‘Mujhe ja na kaho meri jaan’. The loneliness of being caught in the whirlpool of the city of Mumbai, that speeds by relentless, untiring, brutal is best expressed in the haunting ‘Ek akela is sheher mein’ (sung by Bhupinder Singh) in Gharonda although Gulzar won his first Filmfare award for its counterpart song in the same film, the light and peppy ‘Do deewane sheher mein’ which captures the joy of a couple in love in the same city. 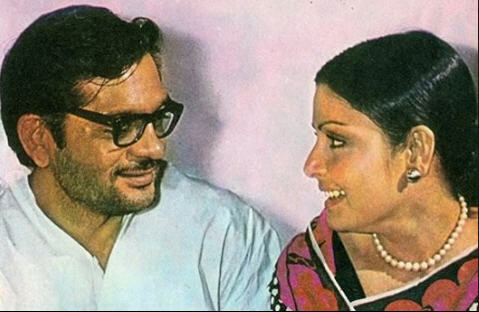 Gulzar’s most prolific partnership happened with his bosom pal R D Burman and the duo came up with unforgettable songs starting with ‘Musafir hoon yaaron’ (Parichay), ‘Is mod se jaate hain’ (Aandhi), ‘Naam gum jayega’ (Kinara), ‘Aaj kal paaon zameen par’ (Ghar), ‘Aanewala pal, jaanewala hai’ (Golmaal) and ‘Roz roz daali daali kya nikhra bhanwra’ (Angoor) and non-film albums such as ‘Dil Padosi Hai’. The Gulzar-RD Burman partnership was rooted in trust and friendship. In any creative field, mutual trust among the players gives them that much more scope and space to experiment and come up with creative innovations that stand out among the crowd. The rocking children’s song ‘Masterji ki aa gayi chitthi’ and the engine-driver’s ode to his beloved ‘Dhanno ki aankhon mein’ (Kitaab); a fun way of teaching sargam in ‘Sa re ke sa re ga ma ko lekar gaate chale’ (Parichay), the blank verse in ‘Ek hi khwaab kai baar’ (Kinara) and ‘Mera kuch saaman’ (Ijaazat) and numerous other such songs, the Gulzar-RDB partnership came up with path-breaking numbers that are experiments and great innovations. He picked up the National Award for ‘Mera kuch saaman tumhare paas pada hai’ (Ijaazat), composed by R D Burman and ‘Yaara seeli seeli’ (Lekin), composed by Hridaynath Mangeshkar. ‘Dil Padosi Hai‘, the private album which the Gulzar-RD Burman-Asha Bhosle team brought out was another example of experimentation. 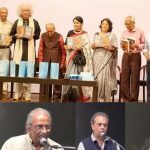 In Strings of Eternity, the book on Pancham by Brahmanand Singh, Gulzar recalls how the album took shape when they used to find time for it after their regular work and that Pancham would call it ‘faltu work’ and they would pack off from his music room and go off to Gulzar’s place to work on the album. “All the songs of Dil Padosi Hai have been recorded in a tiny studio that HMV used to have at Phirozeshah Mehta Road. We had to shut the windows tightly to avoid traffic noise. Many times we used to record in the night, when there was less traffic noise. Also, we didn’t have any tracks in those days. We recorded under such circumstances,” Gulzar was quoted as saying. Gulzar’s forte lies in weaving imagery with words that make the listener effortlessly visualize the poetry in innocuous moments, in the most discreet happening, in the daily walk of life. These lines can carry the listener into the snow-clad mountains where the silence echoes your dreams across the towering ranges. When Gulzar collaborated with the King of Ghazals Jagjit Singh, it led to the creation of some of the most melodious and sublime poetry in Marasim. Mammo brought Gulzar together with Shyam Benegal and Jagjit Singh and with three of the most talented minds creating music the result, not surprisingly, was a masterpiece. This song from Basu Bhattacharya’s Grihapravesh speaks of the dreams and aspirations of every middle-class householder – to one day own a roof above his head which he can call his own. Amar and Mansi too nurture their small dreams of owning an apartment, a tall order in the limited income. You cut corners, you compromise, you save and budget, you put a blanket over your indulgences and pretend there are none. The way Gulzar pierces through the middle-class dream of owning a home in the great big city with his wistful words – Ichchhaon ke bheege chabuk, chupke chupke sahta hoon leaves you wondering whether the dream is actually a whiplash.. the more it remain unfulfilled, the more it hurts. 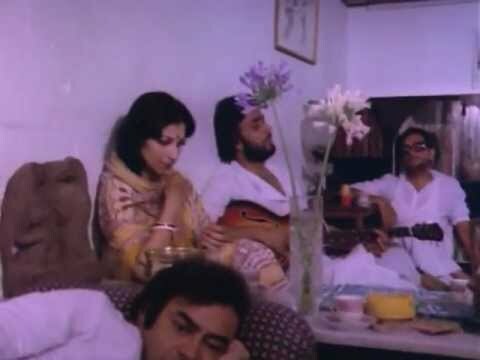 The pensive Sanjeev Kumar, the lost-in-her-own-world sari-clad housewife Sharmila, the guitar strumming Dinesh Thakur and of course the topping on this song of desires and dreams – the bespectacled poet Gulzar himself appearing in a thoughtful mood – in a story of the middle class householder. Logon ke ghar mein rehta hun (Grihapravesh, 1979) Kanu Roy / Gulzar / Bhupinder Singh. Gulzar himself features in this scene. Gulzar Saab’s Triveni, the new form of poetry which he initiated is one of the feathers in his crowded cap, there are many more. In Triveni, Gulzar Saab struck out a new dimension, adding a third hemistichs (misra) to comment on the first two misras that are a complete poem unto themselves. Uttam Kumar and Master Raju in Gulzar’s Kitab. According to Gulzar, “Triveni ka fark iske mizaz ka fark hai. Teesra misra pahle do misron ke mafhoom ko kabhi nikhaar deta hai kabhi izafa karta hai ya un par ‘comment’ karta hai.” (Triveni differs in it’s mood. The third line either complements what has been implied (mafhoom) in the first two lines or simply adds to it’s beauty.) Triveni is popular, just as his poetry and lyrics are and innovation continues to be an integral part of his illustrious repertoire. 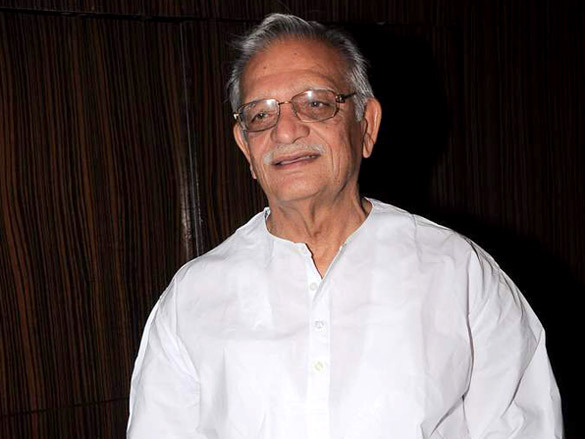 Gulzar also has a rich repertoire of writing songs for children. Masterji ki aa gayi chitthi (Kitaab), Lakdi ki kaathi (Masoom), Jungal jungal baat chali hai pata chala hai (TV Serial Jungle Book) are among the most loved songs for kids. “Kitab was not a musical subject. 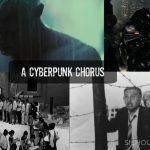 Based on Samaresh Basu’s story Pathik, it was a study into the mental frame of a young boy, disillusioned with the adult world and disappointed with his childhood at the same time. Only Gulzar could have done justice to such a sensitive subject. And the genius of RD was there loud and clear to create the impossible out of a subject void of music and song situations. The kids’ song, where the kids play and sing beating the classroom tables for rhythm, is so natural that it reminds us of our childhood days. Aa ee aa ee master ji ki aa gayi chithhi sung by the sisters, Shivangi and Padmini Kolhapuri is a class apart in its’ creation,” observes Sharma. “Anybody who writes for children and is conversant with Bengali literature will have to draw inspiration from that great man Sukumar Ray. 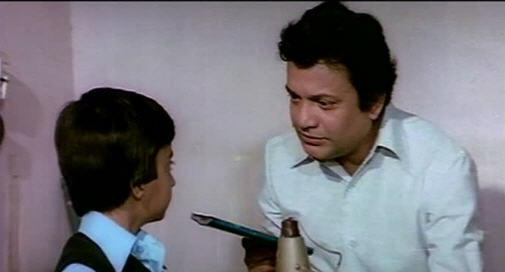 Gulzar was in sync with kids, he wrote for kids and drew out the their best performances in his films. It is more difficult to get children to act. Except Raju Shrestha, the other kids in Parichay were not regular child actors. But see how beautifully they performed,” he adds. Gulzar’s lyrics caught international attention when the song “Jai Ho” from the film Slumdog Millionaire became a rage. At the 81st Academy Awards, he won the Academy Award for Best Original Song for “Jai Ho” (shared with A R Rahman). 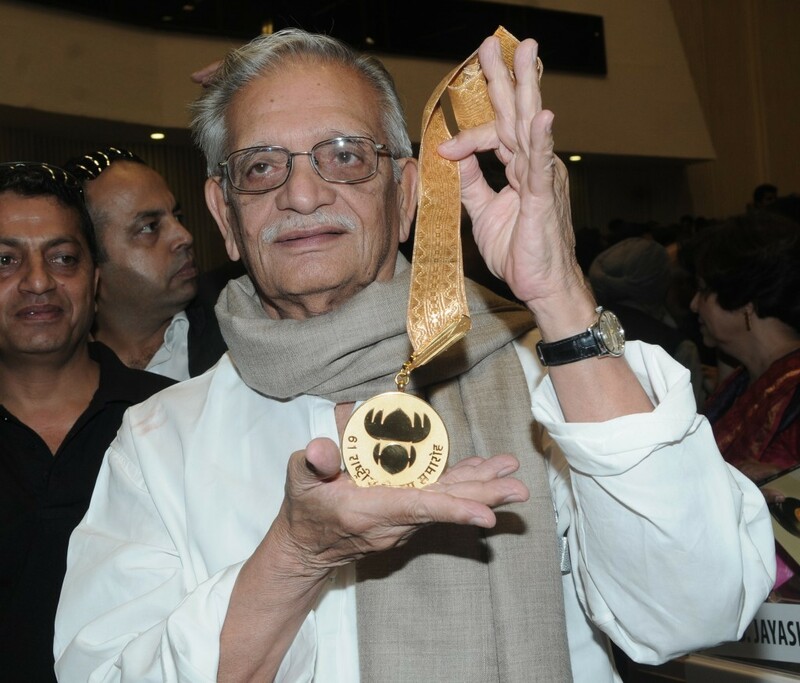 Gulzar is the recipient of Padma Bhushan (2004) for his contribution to the arts and the Sahitya Akademi Award (2002). He has won 20 Filmfare Awards and multiple National Film Awards. His poetry is partly published in three compilations: Chand Pukhraaj Ka, Raat Pashminey Ki and Pandrah Paanch Pachattar (15-05-75) and his short stories are published in Raavi-paar (also known as Dustkhat in Pakistan) and Dhuan (smoke). Aarti, a charming, well educated daughter of an industrialist marries a simple hotelier but eventually leaves him to pursue a promising political career. After 9 years of separation, Aarti meets her husband again when her entourage books rooms in his hotel during an election campaign. The political gameplay that happens during an election serves as the backdrop of this mature love story. Mausam explores the tireless search of successful industrialist Amarnath Gill to find the girl he loved in his youth. 25 years have passed since he had left Chanda with a promise that he would return. But he returns to find that nothing is same. And then begins another struggle, to bring back Chanda’s daughter Kajli from the brothel into a life of security and respect. Gulzar made his directorial debut with Mere Apne (1971), which was a remake of Tapan Sinha’s Bengali hit Apanjan. A tutor (Jeetendra) is appointed to teach the unruly and mischievous grandchildren of Rai Bahadur (Pran). While the grandfather, en ex military man is all for spit and polish and discipline the grandchildren are bent upon driving away the tutor with their pranks. Anu Krishnan: OMG…..Cannot believe I missed this gem! Thank you Antara for alerting me!!!! Gulzar….where to start! Such an eclectic portfolio & stupendous body of work that even decades later still finds relevance & even coming from an era of stalwarts, his work stood out I think because he did not have a style or genre that pigeonholed him. From Koshish, Parichay, Andhi, Achanak, Angoor, Maachis, Lekin, Ijaazat to just name a few…gives an idea of his versitality! In each the story & screenplay were just super tight….and his sense of directorial timing… The scene in Ijaazat, when Rekha asks Naseer to read the letter and in the last scene as she turns just as she leaves the waiting room to look at him again- Masterstroke! Maachis was so much darker, you cannot imagine the same person was responsible for Angoor…Lekin– I remember seeing this and thinking wow, Vinod Khanna & Amjad can give sensitive performances! He did not need a Naseer or Sanjeev to make magic though Sanjeev-Gulzar collaboration has given us some stunning movies! His lyrics of course are poetry far beyond movies…like Javed Akhtar his play on simple words & his extensive use of classical language & dialects is fantastic…Yaara sili sili, Chaiyaa, chaiya or lakdi ki kaathi, for good measure beedi jalaile…..
Could go on for a while….. my friend, but thank you for the article! Peeyush Sharma: Vinod Khanna has delivered excellence under Gulzar in Mere Apne and Achanak as well. Sujata Sood: Antu you are like my guru sister as I love gulzar saab’s work too!! Some comments were received on this article in Facebook. Naveen Anand: So illuminating, well researched, and well written! Top kudos Antara! Vandana Jani Nigam: I agree with Naveen ji’s words.. It is indeed a wonderful read Antara.. Kudos ? Thoroughly enjoyed reading the article. This is something that one can’t just read in one go and do justice to it. Deserves multiple reads. The simplicity of Gulzar Saabs personality and his poetry is very impressive. Use of words rarely used in film songs is one of his specialities. His partnership with RDB was phenomenal. I always felt the end product came out of two bodies with one soul. 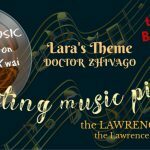 Not only the songs but the background scores were an example of the great understanding they had. Nazms by Gulzar Saab always had his distinct stamp and hearing him recite is a great experience. Ek aisi shaksiyat ke man kare inhe dekhe rahe….inhe sunte rahein. Brilliant, just brilliant. It keeps one interested till the very end. It creates fine perspectives on various dimension of Gulzar’s creativity. 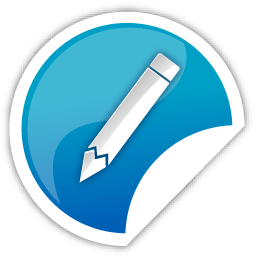 Bringing in others’ take on him lends incisiveness to the article. The article sheds a lot of light on Gulzar’s affinity for Bengal and Bengalees. Really educative. Perhaps his marriage with Rakhee was the climaxing outcome of his Bengalophil ! You have fairly distributed the written space between Gulzar the Director and Gulzar the lyricist. Many will not agree but I feel that he was closer to Roy than Hrishikesh. The latter’s film had a linear character. Excepting a couple of films, he never subjected his characters to the kind of to-be-or-not-to-be predicament, which in fact distinguished Roy from the other directors. Gulzar’s film are intense on the point. Gulzar’s has given to Hindi films some of the most sublime poems. But if required, he could write very earthy as in Omkara, but without in any writing crass.